The International Auditing and Assurance Standards Board (IAASB) has released a suite of proposed standards relating to quality management at both the firm and engagement level. In reviewing the responses they received to their Invitation to Comment (ITC) last year, the IAASB found: “One of the most significant public interest issues highlighted in the ITC was fostering an appropriately independent and skeptical mindset of the auditor.” The proposed standards are open for comment until July 1, 2019, and will be commented upon by NASBA. The International Standard on Auditing (ISA) defines “professional skepticism” as: “An attitude that includes a questioning mind, being alert to conditions which may indicate possible misstatement due to error or fraud, and a critical assessment of audit evidence.” The IAASB has exposed for comment proposed ISQM (International Standard on Quality Management) 1 and 2 and ISA 220 (Revised). Proposed ISQM 1 looks at the firm’s system of quality management, which has a pervasive effect on the exercise of professional skepticism at the engagement level. It requires the firm to establish the quality objective for the engagement teams. Proposed ISQM 2 sets out the criteria for eligibility of the engagement quality reviewer. Proposed ISA 220 emphasizes that professional skepticism supports the quality of judgements and the overall effectiveness of the audit team in achieving quality at the engagement level. 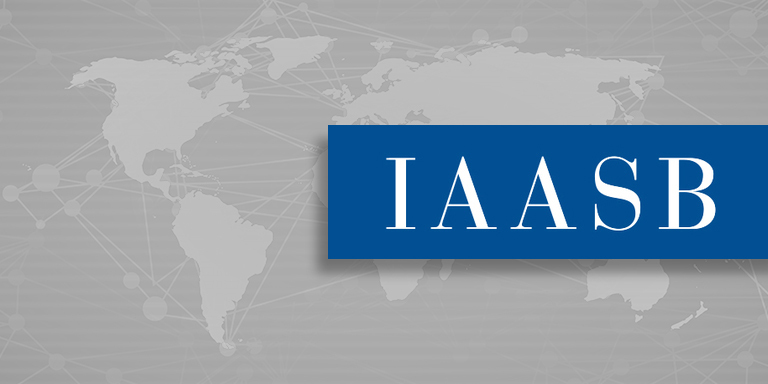 The IAASB’s Professional Skepticism Working Group has been coordinating its efforts with other sections of the International Federation of Accountants. They have worked with the International Ethics Standards Board for Accountants’ project addressing behavioral characteristics expected of all professional accountants, and with the International Accounting Education Standards Board on their proposed revisions to their standards on technology and professional skepticism.